"The new classic" is a phrase that is thrown around a lot in marketing. Whether its a car commercial, furniture ads, or apparel marketing, chances are a few brands have used it. However, when looking into the new henleys from Buck Mason the phrase came to mind. 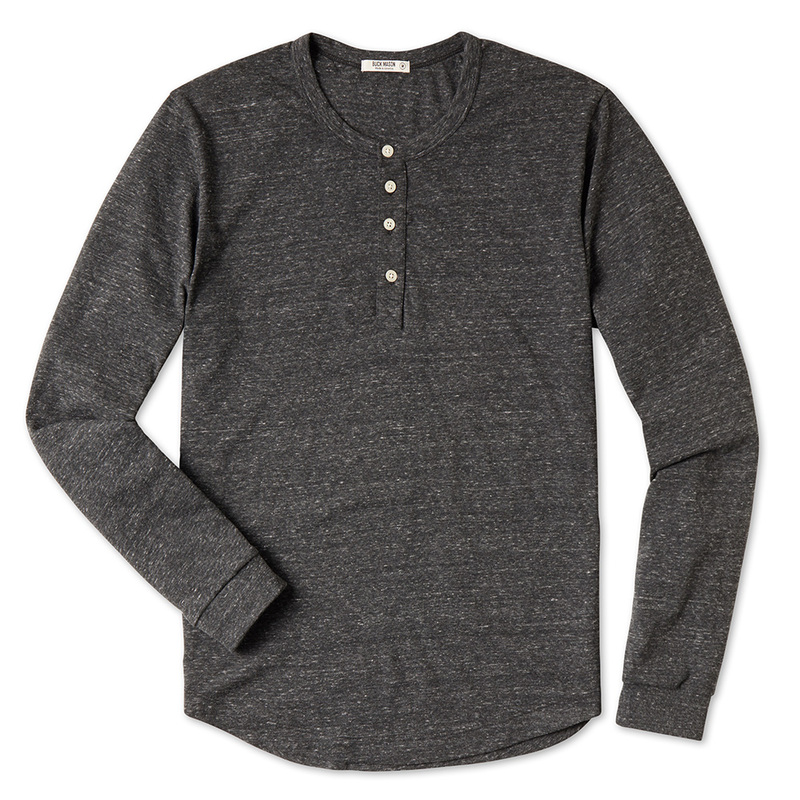 It has a blended cotton fabric that gives it a vintage look and texture, the classic henley 4-button design shouts 1920s lounge wear, and the curved hem at the bottom produces a casual silhouette drawn from old baseball tees of yesteryear. Giving it a surprisingly authentic vintage feel, for a newly made product. This is definitely a staple base layer for the spring transition and a great "just in case" toss-in for a weekend away in the summer. This is a $50 shirt that you'll get your money's worth out of. We suggest wearing it with a pair of jeans, and a black Chelsea boot or chukka. And on a colder day, maybe a thinker button-down on top.